1766 John Tucker was an apprentice to John Caunter of Ashburton, woolcomber. Ten years later, in 1776, Wm Bennett was an apprentice to John Caunter, sergemaker. In 1783 John Bowe Bennett was apprentice to John Caunter, clothier, as was William Drewe in 1790. In 1770 John Caunter, clothier, insured premises with the Sun Fire Office. They included more than one house, offices, a drying linney and a linney called the Dock Inn. John Caunter, a merchant and sergemaker of Ashburton, died after a short illness in July 1825, and was buried on the 30th of that month. According to the transcript of Ashburton burials, 1813-1837, (Devon Family History Society 1997) he was aged 59 (therefore born circa 1766). On the 21st November 1825 his eldest sons John and Richard Caunter proved the will of their father. He left bequests to his sister Mary and sister-in-law Jane Leaman, and to his children Charles Walter Caunter, John, Richard, George and Henry. He also leaves £20 to his daughter Mary. This is the only record of Mary that I have found, and the sum left to her is hugely disproportionate to the amount of money and property left to the five sons. It seems likely, therefore, that Mary is perhaps another relative - possibly his daughter-in-law Mary, the wife of his son John. John Snr's wife Grace (nee Leaman ?) had died aged 56 the previous year, and a daughter Grace Jerman Caunter had died in 1811. Charles Walter Caunter was left two thousand five hundred pounds with interest, plus an additional five hundred pounds to be paid out of his estates and lands at Waye, Ashburton. Other land and property mentioned in the will includes Stonepark or Lower Roborough, land near Balland and land near Pitley, Priggs Meadow, property in East Street and West Street and property near Travellers' Rest. He mentions premises which were his late grandmother's near Heavyhead Lane and Lawrence Lane, houses and premises in Kingsbridge Lane, West (?) Mill, Leat Park, Gulwell Bridge Meadow, 'and all those mills also in Ashburton called Gages Mill,' plus all his mills and lands in Bickington. 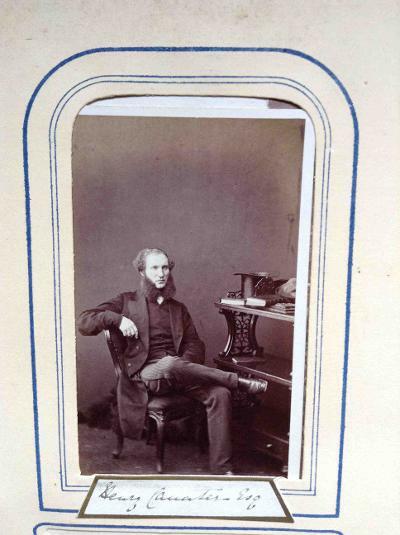 See the Virtual museum, 1820s section, for a portrait believed to be that of John Caunter Snr. Left: A legacy receipt from the Inland Revenue. Mary Jerman Caunter, the sister of John Caunter Snr., had died on 9th December 1832. John and Richard Caunter were the executors, 'nephews of the deceased', and John, Richard, George and Henry are referred to as descendants of a brother of the deceased. 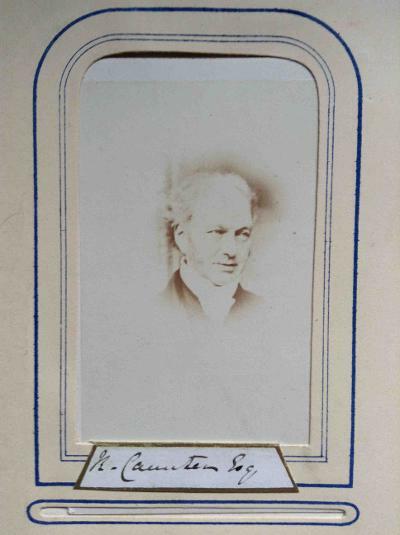 A legacy of £500 had become payable to the legatees on the death of Charles Walter Caunter (their brother): he died on the 22nd June 1868. In 1822 John Caunter Jnr married Mary, daughter of the late General Eales of Liskeard. John is described as a merchant. He still holds Waye in 1837 when John Knott is listed as a gamekeeper for John Caunter at Waye and other lands. In 1838 John Caunter attended a dinner in celebration of the 'not guilty' verdict on his brother Henry and others accused in the Ashburton election riot. In a speech of thanks, he emphasised the seriousness with which he regarded his position as magistrate, and referred to the slanderous statement of 'old Mr Barons of the Golden Lion' who had claimed that he was a 'better electioneerer than magistrate'. 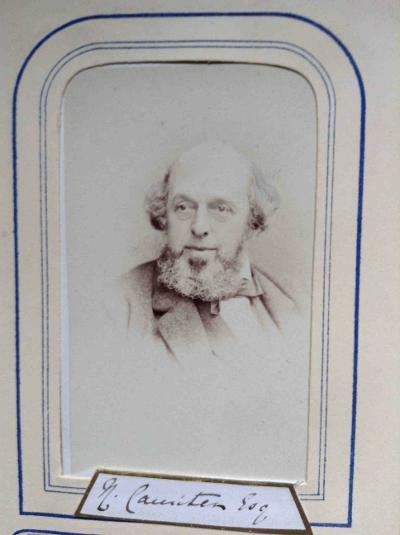 He was president of the Ashburton Madrigal Society in 1841, and was one of the umpires (when he is described as being of Way House) at a contest between the Totnes and Modbury brass bands in 1843. John Caunter had less pleasant duties. In 1843 a boy picking ferns found the body of a woman, who was later identified as Rebecca Tooley, from Totnes: she had been viciously murdered. In the absence of the coroner John, as magistrate, opened the enquiry at the London Inn. In September 1846 Mr Mann was conducting an auction of important furniture and effects at Waye House, the property of Mr John Caunter. The items for sale included 'superior goosefeather beds', dinner services, a horse, phaeton, and 12 hogsheads of cider. By 1851 John, his wife Mary and daughter Grace are living in Leat Park, which on the census is between Gulwell Cottage and Peartree House. He died, aged 60 in April 1857. Described by the Western Times as a 'warm supporter of the Liberal cause', he had been a magistrate for the borough for 30 years. 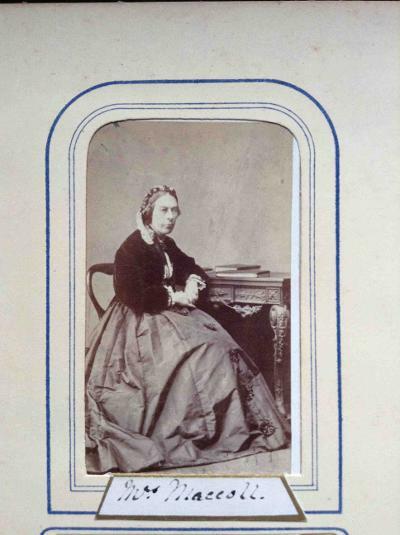 The Mrs Caunter* of Leat Park House who marries Capt Thomas E Rogers in June 1859 is John's widow. In the 1861 census Grace is shown as the step-daughter of Thomas, living at Waye. * Mary Caunter marries Thomas Eales Rogers in the June quarter 1859 Newton Abbot district. 1870 Richard Leach Berry of Chagford married Grace Caunter of Ashburton on June 8th at Ashburton church. Richard's father was named as John Berry, merchant, and Grace's father was John Caunter, 'Esquire'. The family were staunchly pro-Reform. In 1831 Richard 'in a very able speech' proposed that a petition in favour of the Reform Bill should be sent to the Lords. The meeting, held in St Lawrence Chapel, endorsed the proposal. 1833 saw a dispute over the election of the new bailiff, James Woodley. Richard Caunter, currently holding the position, objected to the list of freeholders from whom the court leet jury was selected. It was this jury who chose both the bailiff and the portreeve. The case reached Exeter Court the following year - for details see the Local Administration section of Gathering Together. John and Richard Caunter were amongst those calling for a meeting to discuss the building of a rail road from Torquay to Ashburton, via Newton Abbot, in 1833. Richard, together with H Caunter and G Caunter (almost certainly Henry and George), was still attending meetings over the proposed railway twelve years later. In October he was chairman of the management committee of the Ashburton, Newton and South Devon Junction Railway: John was also on the committee, and G Caunter was one of the solicitors involved. 1841 saw the trial of William Barnes, charged with stealing wool from the workshop of Richard Caunter. Elizabeth Battershall and Elizabeth Waygood were charged as accessories to the crime, and William Major was accused of receiving stolen goods. It was stated that Richard Caunter always had a considerable quantity of wool in his premises, an amount so large that it was difficult to establish that any was missing. The premises are obviously in the Kingsbridge Lane area, and near Hext's passage - a lot of evidence concerns whether or not William Barnes was seen in Hext's passage, so called because it led up to the house of Hext. Much was made of the fact that it was not a thoroughfare. The second floor was used for sorting the wool, the combing shop is described as being in an under room. William Burge, woolstapler, worked in the inner sorting room. James Badcock, a woolcomber; Joseph Mugford, a wool sorter. 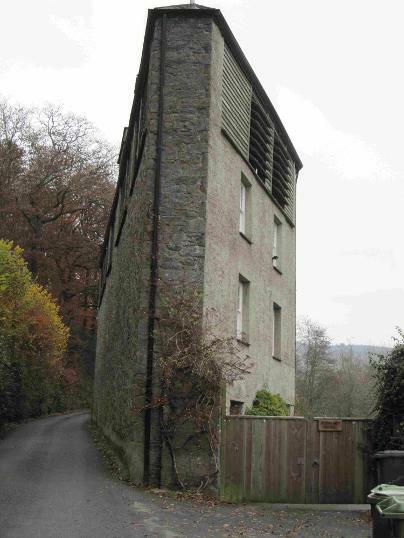 Richard also owned Belford Mill, which suffered a catastrophic fire in 1848. Some buildings, including the 'dying room', were saved. It is perhaps a measure of the importance of the woollen industry that the fire was reported in the Stamford Mercury, the Sherborne Mercury and the Blackburn Standard. For details, see the Fire and Flood section of Ashburton in Peril. Mr Richard Caunter's factories were specifically excluded from the Western Times' complaint of manufacturers still using the 'truck system' of paying wages. The truck system involved employees getting paid in goods or tokens - if the latter, these had to be spent at designated shops, which either had some arrangement with the employer, or were actually owned by the manufacturers. 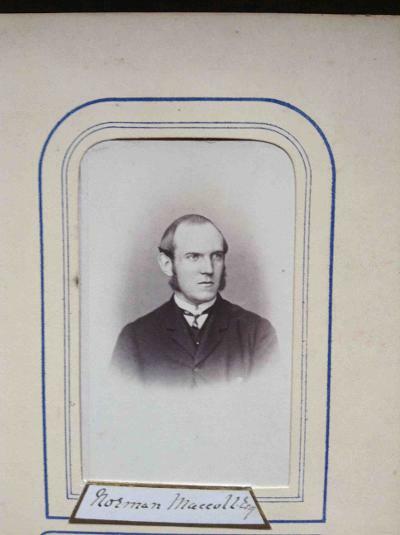 Richard Caunter was absent from the election of the Ashburton MP in 1857, a very unusual occurrence. His son was dangerously ill. The same edition of the paper reported his son's death. Also called Richard, he died aged 28, and within a fortnight Richard's brother John, aged 60, was also dead.. 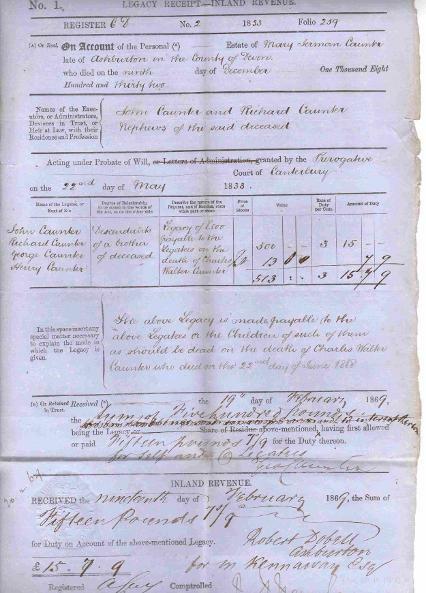 The 1861 census shows Richard, a widower living in West Street with his daughter Ellen and his brother Charles. Aged 60, he is described as a woollen manufacturer. Richard died on the 17th November 1861, a year after his wife, Mary. The Western Times described him as a man 'worthy of esteem' in all aspects of life: personal, political, business, and in his relationships with his workforce. Right: Photograph of George Caunter? The initial is hard to decipher. On 12th February 1824 John Caunter the younger swore an oath to say that Articles of Agreement had been made between John Caunter the elder and George Caunter on the one part and Matthew Anstis of the second part. Matthew Anstis, Gentleman, was from Liskeard in Cornwall, and was an attorney of His Majesty's Court of King's Bench at Westminster, and a solicitor in the High Court of Chancery - the agreement bound George Caunter to him as clerk for five years. Richard Caunter was a witness. In his father's will of the same year, provision was made for discharging the remainder of the debt to Mr Anstis for his articles. In a strongly worded letter to the Western Times in 1837, George refuted the claim that a tenant of his, Mr (William) Yeo, had voted five times according to Mr Caunter's wishes. In the course of the letter several allegations were made as to the behaviour of Mr Yeo as a tenant. Writing back to the Exeter and Plymouth Gazette a week later, Mr Yeo took exception to George Caunter's comments, and complained that, amongst other things, as landlord Mr Caunter had failed to pay money for repairs. George had, he said, told him to take out an action if he wished to recover the money. 'I should have stood a better chance if a man had met me on Ashburton Down and clapped a pistol to my head'. Mr Yeo signed himself 'brutally injured' and 'basely slandered'. George Caunter retaliated by taking out an action for libel against the newspaper proprietor, Mr Woolmer. The Western Times reported that it was unlikely that Mr Yeo had written the letter in the Exeter and Plymouth Gazette, as he could hardly write his name. The following March £40 damages were awarded to Mr Caunter. The Exeter and Plymouth Gazette wrote nearly two columns commenting on the judgement, and was still asking questions about Mr Caunter in July. February 1 1844 George Caunter married Jane Frances Woodley, the youngest daughter of the late James Woodley, Halshanger. 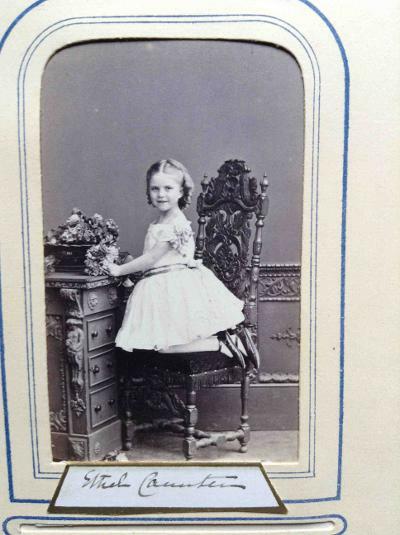 A daughter, Frances, was born 14th January 1845. Inland Revenue Receipt, in my possession. In July 1859 a committee looked into the recent election at Ashburton, as there had been allegations of 'bribery, treating and undue influence'. John Harvey Astell and George Moffatt had been the two candidates: Mr Astell had been elected. George Caunter is described as one of the agents of Mr Astell. One witness noted that Mr Caunter had been hit in the eye, but said that he didn't know whether one of Mr Moffatt's 'roughs' had caused it. He speculated that it might have been caused by one of his own side '(laughter)'. The committee finally decided that the election of John Astell should stand. The banquet three weeks later that followed this decision was described by the Western Times as a 'corruptionist feed'. Much of the dispute over the election centred on one voter's debt of £134 - a warrant was out for his arrest, and it was alleged that an agent of Mr Astell's paid it. The paper noted that in his speech Mr Caunter seemed to forget the £134. 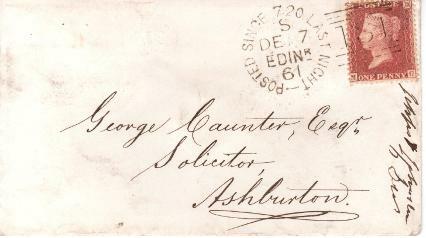 Left: A letter, 'posted since 7.20 last night' to George Caunter Esq., Solicitor, Ashburton, in 1861. No other address was needed. Right: Photograph of Henry Caunter? The initial is hard to decipher. In September 1881 the death was announced at Millburn Cottage, Stornoway, Ross-Shire, of Henry Caunter, aged 72, formerly of Ashburton. Henry was a long way from his home town, where he was born in November 1808, the youngest of the six children of John and Grace Caunter. He had four brothers: George, John, Charles Walter and Richard; and a sister Grace Jerman Caunter. An obituary in the Northern Chronicle, quoted in the Western Times, said that the 'very much beloved' Henry Caunter was an accomplished musician and talented amateur artist. But there was more to Henry Caunter, whose interests had ranged from woollen manufacture through to mining and the chemical industry. He had been an inventor, and an ardent supporter of the Liberal party. Henry Caunter of Ashburton married Sarah Fulford, daughter of John Fulford, in Crediton in October 1835: they had a daughter, Sarah Fulford Caunter, baptised in June 1837, and probably a son Henry Fulford Caunter, who died aged 5 in the March quarter of 1838. On 12th November 1840 'the lady' of Henry Caunter of Ashburton gives birth to a daughter - Henry is described as a woollen manufacturer. By 1841 they are living in West Street and have with them 7 month old Alice - the only child with them on the 1841 census. * The marriage was to be a short one: Sarah died in 1842, aged 27, at Windsor Terrace, Plymouth, her death being registered in the Plymouth District in the March quarter of that year. Assuming that we are talking about the same Henry, and there aren't really any other candidates, Sarah had lived to see her husband involved in perhaps the most notorious event in Ashburton's election history - the riot of 1838. In 1838 The Western Times reported on the case of The Queen v Henry Caunter and others, where the defendants were charged with riot and assault during an election campaign. It was alleged that they assaulted Robert Bowden and Richard Ford, using violence way beyond that which 'all men were ready to allow during election proceedings'. For more on the case, see the Election fever sub-menu of Gathering Together - basically people were kicked and beaten, and property was damaged. The defendants were found not guilty. In 1839 H. Caunter, sole manufacturer, was advertising a woollen cloth that combined 'Elegance of style' with 'Economy of cost.' It was, he said, suitable for ladies' cloaks, gentlemen's dressing gowns, waistcoats etc. He was also selling a 'tilting cloth', apparently used for covering waggons and hayricks, made of hair. This was, he said, cheaper and more durable than woollen tilting cloth. 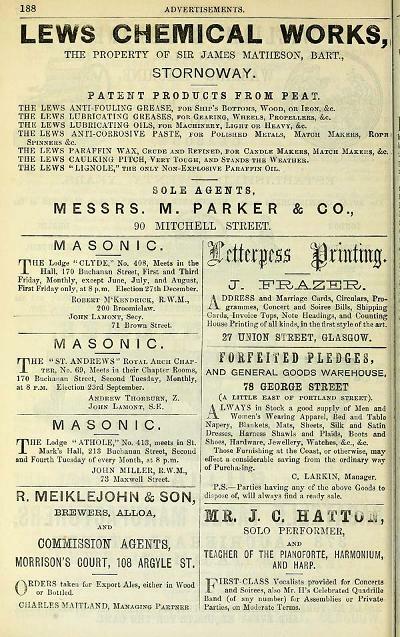 It was not all work or politics - in 1840 the Ashburton Glee club met at the London Inn, with John and Henry Caunter supervising the proceedings. Whether the 'spirit' that the Western Times speaks of refers to the mood or what was consumed in the inn is unclear. Liberals met their MP William Jardine at a banquet in 1841. A pavilion had been built in the garden of Messrs Caunter, which was covered in serges and decorated with flags. R. Caunter was in the chair, and the glee singers were led by Henry Caunter. Two years later R Caunter, H Caunter and J Caunter were all at a similar dinner given for the newly elected James Matheson. John Caunter of Waye House sat on Mr Matheson's left, and Henry led the singing, 'the picture of happiness'. The brothers' aquaintanceship with James Matheson was to have a profound effect on Henry's future. By 1850, Henry is Portreeve, and in White's Directory describes himself as an 'Artist etc.' in West Street. Together with Robert Palk he is also managing various tin and copper mines on Dartmoor, and two years later they are both secretaries of the Ashburton and South Devon Geological Society and Museum in West Street. Slater's Directory of Berks, Cornwall, Devonshire etc. 1852-53, p7. In the same year Abraham Cann, Devon Wrestling Champion, arrived in Ashburton to adjudicate in a disputed wrestling match. Henry Caunter, described later as a talented Ashburton artist, painted a portrait of Mr Cann, which was then raffled. The painting was won by Robert Mugford of the Town Arms. For more on this story, see the Historical visitors' book, under the Gathering Together section. The portrait is now in the Royal Albert Memorial Museum and Art Gallery, Exeter. For a biography of Abraham Cann by the curator, and to see an image of the painting, go to http://www.livinghere.org.uk and search under 'Cann'. Other paintings by Henry Caunter survive at Bradley Manor, Devon: a portrait of his sister-in-law, Jane Frances Caunter (nee Woodley), and a portrait of Richard Bunclark, woodman to the Druid Estate. In February 1851 Henry Caunter, in his capacity as Portreeve, presided over a meeting of The Friends of Peace. An address by W Stokes of the London Peace Society focussed on the idea of disputes between nations being settled by arbitration rather than by warfare. At some stage after the 1851 census Henry moved north - he is a visitor in Edinburgh at the time of the 1861 census, with Alexander and Eliza MacColl. Alice Caunter and Sarah Counter [sic] are also in the household, and both are described as nieces. Henry describes himself as a landed proprietor. 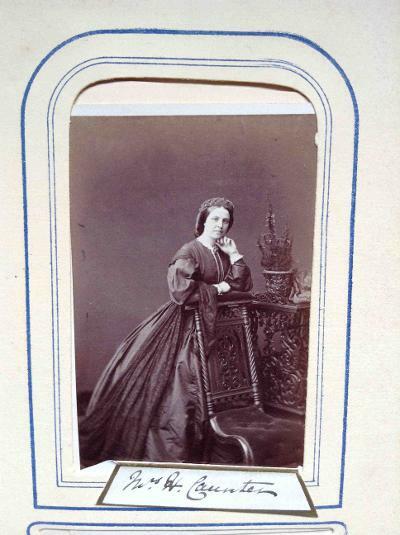 Above: Mrs MacColl, presumably Eliza MacColl, née Fulford. He became involved in Sir James Matheson's plan to expand the production of oils from peat moss at the Lews Chemical Works. In 1844 Sir James had bought the Island of Lewis, and according to his monument devoted 'the remainder of a long and useful life to ameliorating the condition of the inhabitants of that island'. See http://www.hebrideanconnections.com for the description of Sir James' life on his monument in the Castle grounds of Stornoway. Henry Caunter, of Stornoway, took out a patent in 1864 - For improvements in preserving ships' bottoms. In 1865 Lews anti-fouling grease, Caunter's patent, is on sale at £28 a ton. He had already taken out at least one other patent on the grease, as a lubricant for axles on vehicles. The Western Times article above describes Mr Caunter as the manager of Sir James Matheson's works - which is the occupation he puts down on the 1871 census. Competition from southern companies was ultimately blamed for the defeat of the scheme. Western Times 21 October 1881 p8 col4. But the corner opposite the house where Henry Caunter lived is still known as Caunter's Corner. The Lewis Chemical Works, Dr Ali Whiteford, leaflet published in Stornoway, Isle of Lewis. The 1881 census for Liskeard, Cornwall shows a 21 year old Ethel Caunter living with her parents Henry and Catherine M. Caunter. Henry is a 48 year old solicitor, born in Ashburton. To date, Ethel seems to be the best candidate for the photograph on the right, and it seems likely that Henry and Mrs H Caunter in the photographs above are her parents. Henry is probably on the 1841 census as the 8 year old son of Richard, a merchant, and his wife Mary Ann. They are living in West Street. Other members of the family on the census - 12 year old Richard and 4 year old Ellen - seem to confirm that Richard Snr. equals the Richard above, owner of Belford Mill.